Most companies do not know how to buy software or technology. Politics, lousy practices, and an incomplete understanding of good decision-making taints the process. Bad decisions are being made every day by well-meaning people. E-commerce software is no different. I am not here to tell you what platforms are good, and which are not. That would defeat the purpose of this article. I simply want you to run an efficient decision-making process that results in business impact and significant outcomes for your e-commerce site. Let’s face it – when companies buy e-commerce software or services – are they buying software features or man hours? Doubtful. Most organizations attempt to purchase outcomes or some future state of the business. Businesses plan to invest a certain amount of money today to buy a future state x number of months down the road. Meet or exceed the outcomes they purchased and that business is happy. Underachieve on the results and the organization is frustrated. Underachieve for long enough and the organization loses trust in the original decision makers. Scary. And yet, most selection processes don’t reflect outcomes. Instead, decision making is hyper focused on features. Or architecture. Or software language. Or whatever bias is brought by the title/role of the individual leading the selection.
. Let’s get into it. Instead of focusing on features and software, let’s change the way we make decisions in an eCommerce project. It doesn’t matter the stage you are at. Start or re-start by doing these 7 things. Sound easy? If so, then you haven’t seen how long this article is. You listen more and talk less. That is good. You gather lots of great information. Valuable information. You keep your beliefs fresh and relevant rather than stale and rigid. You move outside the hierarchy of the business and position yourself to generate some insights with originality. You gain the ability to think for yourself more clearly and more intensely. 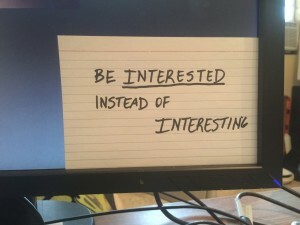 I have a sign on my computer that I wrote a while back that says “Be Interested, instead of Interesting.” The more questions I ask, the more I am able to think and process. Being curious is good business. If you are reading this article because you are starting or in the midst of a eCommerce project, download my free RFP Template now! Everyone loves jumping to the solution. IT guys like to propose technology solutions. Business people jump to process solutions. And vendors – well they will propose whatever they think you will buy. Try this exercise. Ask a vendor salesperson to come in for a meeting. Let’s call the sales guy or gal – Mr. SG. Start the meeting off with of course introductions and a brief background on the two of you – make sure to ask about his family. Then tell Mr. SG that you want to “replace your eCommerce system because the old one is well… old.” Ooh, instead of “old” use the word “antiquated” or “no longer supported.” Then ask this magical question. “So tell me a little about your company, your solution, and how you can help me.” The sales guy sitting across from you will poker face, but inside he is squealing with delight. This is his chance! Win the deal! Differentiate! A good Mr. SG might tell you a great story. A bad Mr. SG will talk ill of the competition. Regardless of sentiment, tell Mr. SG, “Sounds fabulous – can you show me a demo?” Like a magician, the sales guy will produce a sales consultant, a laptop, and a projector, and away you go. To Hell. To demo and solution Hell. Mr. SG just did you wrong. He doesn’t know your real issues and opportunities. He/She can’t measure what success or fixing the problem will do. You don’t know it yet, but you are not yet ready to hear about Mr. SG. He has a lot more to learn about YOU, first. 1 in 100 salespeople will handle the situation differently. I exaggerate – really it is more like 1 in 1,000. The unique salesperson will answer your magical question with another beautiful question. They will say something like this, “Sure, we have helped many companies solve a lot of business issues, and honestly, they are all so different. Would you mind if I ask a couple of questions.” And then it begins – Mr. Better SG uncovering your issues and your opportunities. Rejecting the solution. Activity gets mistaken for productivity – ahh, this is a good one. Requirement docs and RFPs get built with a bunch of “wish list” items. You will have new problems – lots of them. As my daughter would say, “Now it is getting real!! Boom.” Don’t worry, I don’t understand the boom either. First, you had to be curious, identify the issues, and reject the solution. Now is the really hard part – gathering evidence of the issue. Evidence of business issues is typically tucked away in the bowels of an organization. It starts with knowledge, and then as you dig you will find measurable evidence. Based on the type of business issue – problems or opportunities – structure your questions to dig for evidence. If we made it easy for buyers to purchase, how would our company benefit? If we build X, how much could we increase revenue by Y? If we don’t change, what will happen next? So, you have identified many issues and worked hard at gathering proof of the issues. Now is the time to calculate the impact of solving the problems to determine whether or not they are worth solving. I wrote a great article on some of the basics of calculating some of your potential impacts. For everything else, find the answer to these four questions. What will it be in the future if the e-commerce solution we are proposing is applied? What is the potential opportunity or gain by developing this e-commerce solution? In what time frame can we realize this gain? When I mention e-commerce solution above – that doesn’t have to mean software. You are listing and prioritizing issues and evidence. The solution can be a number of different things – people, process, or technology. Most people make decisions without mapping them to long-term priorities. Take a few minutes and consider how the proposal under discussion will affect the long-term priorities. Consider the exact consequences of each decision made. Also, think about how these decisions will affect the people in your organization. Who will this benefit? Who will this affect negatively? If the issues and evidence are clear and the impact significant, start asking different questions. Has this been done before? What stopped it from happening? What might prevent it from succeeding in the future? In eCommerce, many B2B companies first launch a site built on a bolt on ERP solution. Sometimes these solutions make it difficult for your customers to do business with you. So you may have a current solution in place that doesn’t address the issues. Case and point for this article. Product information is often difficult to collect. Some companies determine they have to have all of their product data done before they start an eCommerce project. Dependencies in projects cause slowdowns and often cause plans to come to a screeching halt. VP Sales has said that “he hasn’t heard from any customers who want to order online.” Tread carefully on this one. Your VP of Sales is your best ally for customer adoption. You need them, badly. Once you identify the roadblocks, you need to address them head-on. Your solution doesn’t matter if you are going to hit the same roadblocks again. Don’t even think about starting a project without having mitigated the known risks. There are enough unknown risks out there that you will have to deal with in the future. This goes back to number 1. 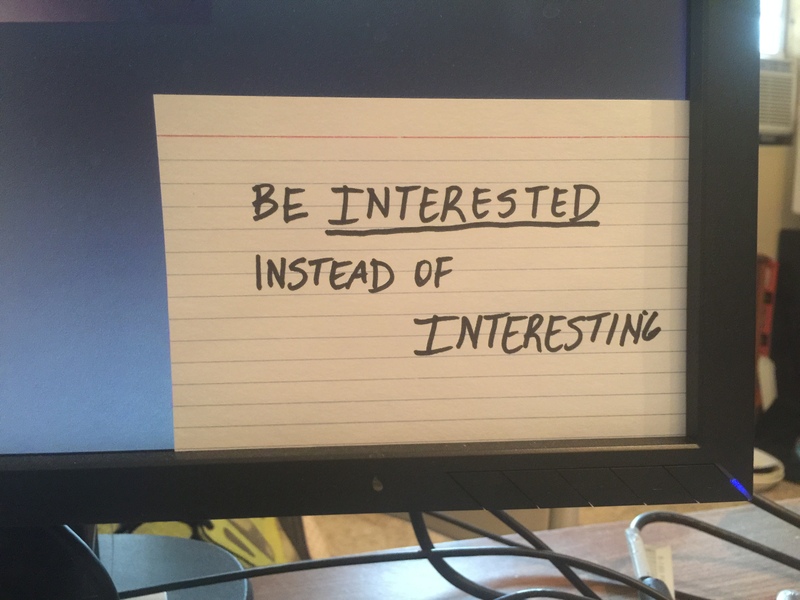 Be intensely curious. Keep asking questions. Prioritize the issues, the evidence, and the impact, and socialize them internally. Socialize them to identify more roadblocks and to make sure you are hitting on the real issues. Then as you start the actual project, be hyper-vigilant about always shifting the conversation to the issues and the causes. I don’t pretend these are easy steps to follow. If it were easy, I wouldn’t have a job. But try some of these – be immensely curious and focused on the business issues instead of the solution. Let me know how it is going. In the AgileRFP, the process is built to follow these steps. If you want help working the above items, reach out any time.
. Both by Dave Marcum, Steve Smith, and Mahan Khalsa. Download and read, immediately. Like everything else I write, it is hard to separate my experience from what I have learned, read and now practice. However, in this case the content has been adapted from That means none of this is original, and I credit this work to them and about 12 other authors.